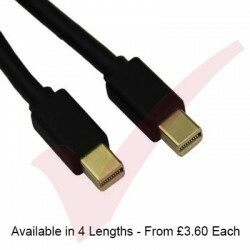 DisplayPort cables where designed to replace DVI & SVGA cables and are available in standard Display Port and Mini Display-port variants. 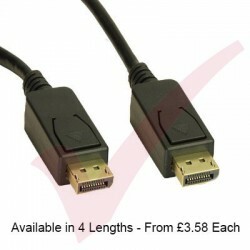 While they are mainly used for digital display it can be used to carry other signals such as Audio or USB. Display Port There are 14 products. 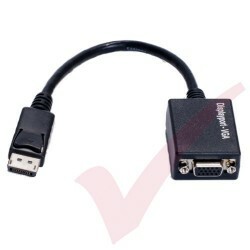 DisplayPort is a 20 pin connector similar to HDMI but designed to replace DVI/VGA. 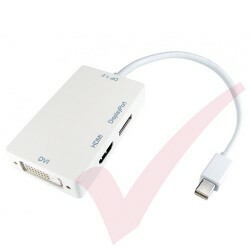 DisplayPort is very simple to use and makes connecting your PC to your DisplayPort enabled display very easy. 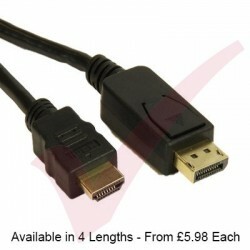 While it is mainly used for digital display it can be used to carry other signals such as Audio or USB. 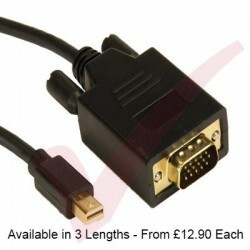 Display Port Male - HDMI Female 15cm Adapter Cable are an ideal solution for connecting computers to monitors and TV's. 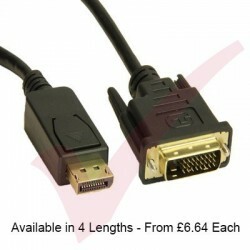 Supports full 1080p resolution. 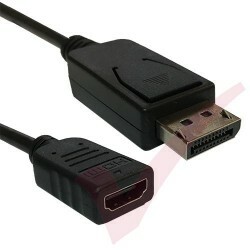 DisplayPort is a 20 pin connector similar to HDMI but designed to replace DVI/VGA. 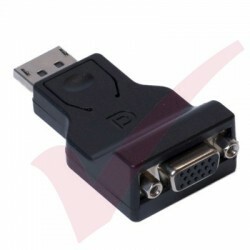 Our DisplayPort to VGA adapters are the perfect solution for adapting your DisplayPort computer or graphics card to use a VGA monitor/device. 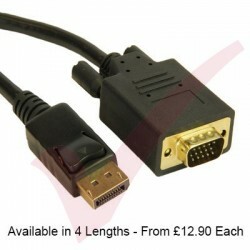 Due to restrictions of VGA this adapter cannot carry audio. 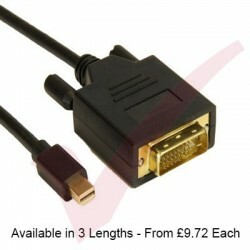 Perfect solution for adapting your Display Port Computer or Graphics Cards to use a VGA Monitor/Device. 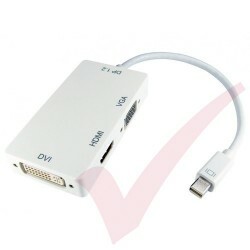 Display Port is a new generation display interface technology. 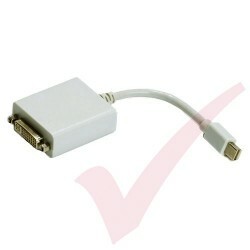 With this connector, notebooks and consumer electronic devices can be connected with big display screens.